Blake Henderson, one of our Senior Event Managers and the King of Cocktails has put together this delicious White Peach & Ginger Julep. This recipe produces an adult cocktail, strong and refreshing, perfect for kicking off the weekend in style! 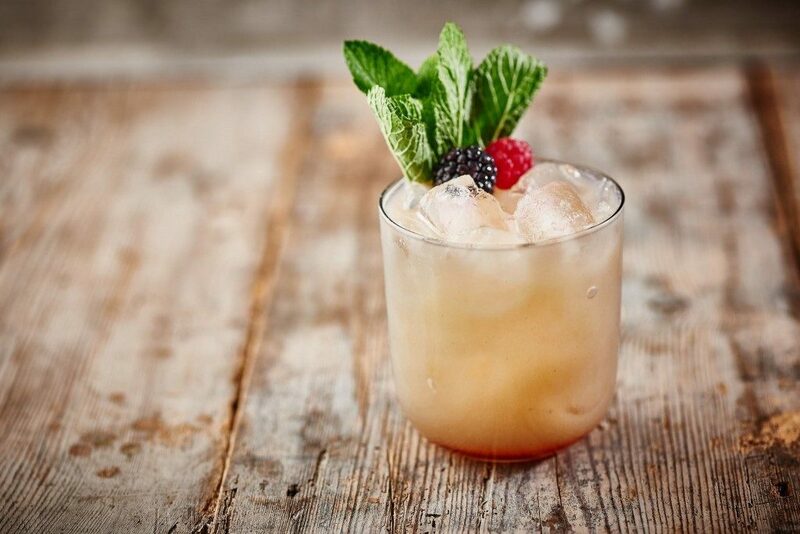 Add the Bourbon, lemon juice, ginger syrup and white peach purée to a cocktail shaker with ice cubes. Cover the shaker and shake vigorously. Add two or the fresh ice cubes to your glass and strain in the contents of the shaker over the ice. Let us know how it goes by tweeting @Createfood, we’d love to see what you make!